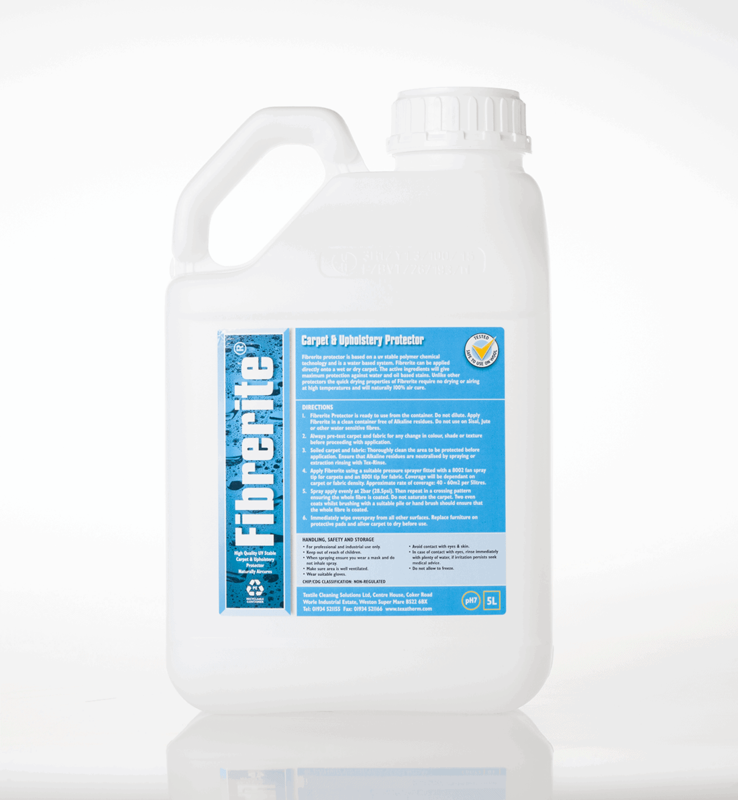 Fibrerite protector is based on a UV stable polymer chemical technology and is a water based system. 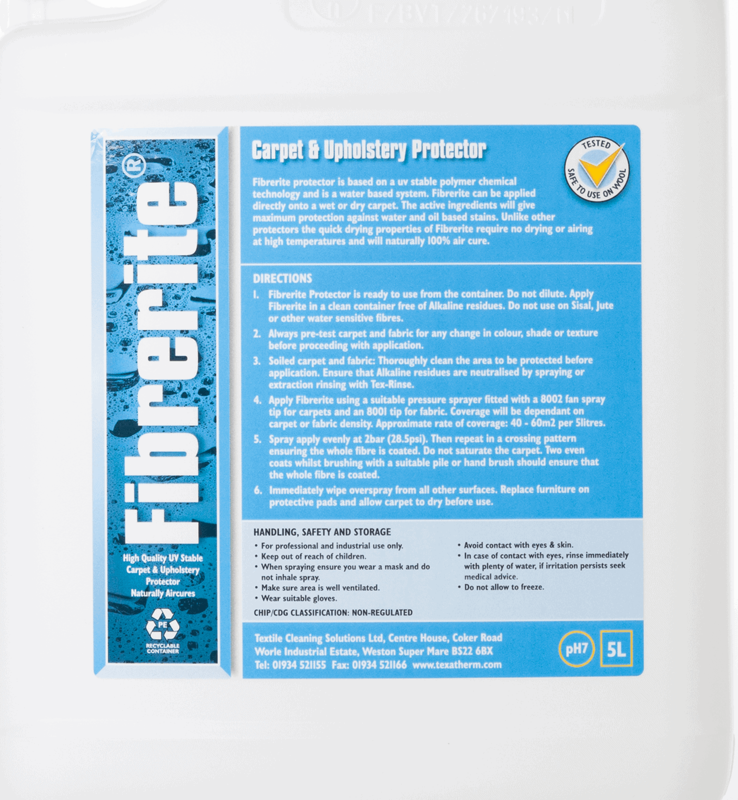 Fibrerite can be applied directly onto a wet or dry carpet. The active ingredients will give maximum protection against water and oil based stains. Unlike other protectors the quick drying properties of Fibrerite require no drying or airing at high temperatures and will naturally 100% air cure.